Summer is here and everyone is ready to get outdoors, but you still have to make meals for your family. Here is our free June Meal Planner to make your job a cinch. 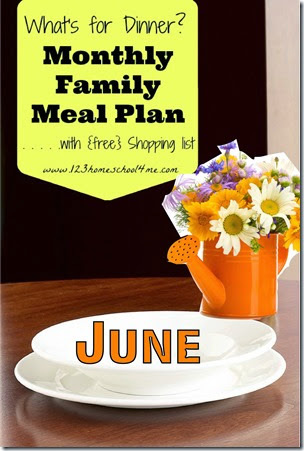 If you’ve never used our free monthly family meal planner you are in for a treat. Sunday Banana Bread Walnuts, Ham & Cheese O My!Walnuts, Ham & Cheese O My!